UPDATE 16/01/2014: If you’re using Kali Linux v1.0.6 with Kernel 3.12-6, there’s yet no solution to suite everyone’s need. I am working hard to find a solution and a generic method of implementation that can be followed easily by everyone. If you come across a solution, please let me know. Following guide works flawlessly with Kernel v3.7. I always had issues with ATI/Intel gfx cards in pretty much every version of Linux I’ve used. Kali is no different. Following guide would help to resolve the problem for everyone with similar issues. Many thanks to ‘Sani Morphic’ for his original post. Also big thanks goes to “http://wiki.debian.org/ATIProprietary” for their updates on Linux Header and ATIEventSD notes. This post will guide you through installation of AMD ATI Driver in Kali Linux 1.x. This guide (Install AMD ATI Driver (fglrx) in Kali Linux 1.x) is part of a series that guides readers on How to install FGLRX, AMD APP SDK, CAL++ and Pyrit in Kali Linux. The idea is to install correct drivers in Kali Linux for your GPU and use CPU+GPU combination with Pyrit to make raw data crunching faster. An example would be to utilize this combined processing power to crunch though WPA/WPA2 capture file to find Wifi password. Check if Pyrit is installed. If not installed, follow this guide to install it. Check your /etc/apt/sources.list. If it’s anything different to the following, you need to fix it. There’s another post with how to update your srouces.list ..
At this point, you will see the following error message. 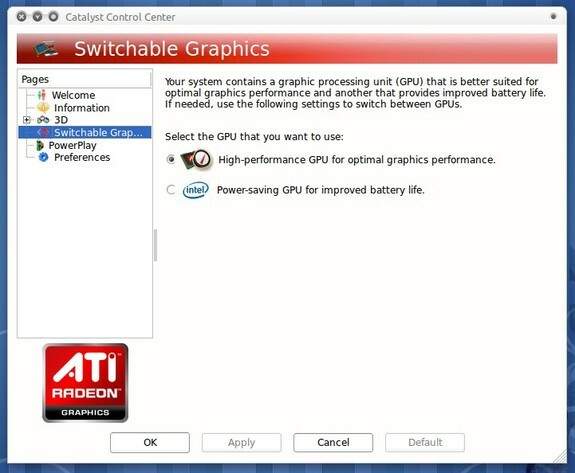 This is why I had to write this guide to fix and patch kernel which allows you to install official AMD Catalyst Center. ... Error! Bad return status for module build on kernel: 3.7-trunk-amd64 (x86_64) Consult /var/lib/dkms/fglrx/12-6+point/build/make.log for more information. At this point we are making folders and unpacking the downloaded .deb file so that we can patch it and re-pack it. Copy patch to correct directory and patch it. patching file firegl_public.c Hunk #1 succeeded at 3890 (offset -2 lines). Hunk #2 succeeded at 3920 (offset -2 lines). Hunk #3 succeeded at 3935 (offset -2 lines). Hunk #4 succeeded at 3944 (offset -2 lines). Hunk #5 succeeded at 3982 (offset -2 lines). Hunk #6 succeeded at 4013 (offset -2 lines). Hunk #7 succeeded at 4023 (offset -2 lines). Hunk #8 succeeded at 4044 (offset -2 lines). Once patching is done, we need to re-build the package, pack it again for installation. dpkg-deb will show you the following output. This also creates the necessary .deb packages. dpkg-deb: building package `fglrx-modules-dkms' in `build//fglrx-modules-dkms_1%3a12-6+point-3_amd64.deb'. Time to install our newly patched .deb package. Now we generate a xorg configuration file which will be in /etc/X11 folder. Note: fee64a58-2e36-43f5-962d-8c33f936d452 UUID would be different for every PC. Use your one here. Enjoy your AMD ATI fglrx driver in Kali Linux 3.7-trunk Kernel.